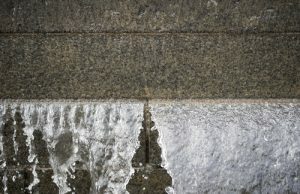 Slab Leaks: What Causes Them and How to Detect Them? Slabs are a common part of the household in the San Diego area, so it’s not surprising that slab leaks happen to people all the time. Not only are they unpleasant and cost a lost of money, but can even put the foundation of the house at risk. This is why you should look for slab leak detection in San Diego, CA as soon as you notice any slab leak symptoms. Only the best local service providers can perform a thorough leak detection process and fully repair the damage done. A fast reaction is crucial, so here’s what you should pay attention to and when you need to react. 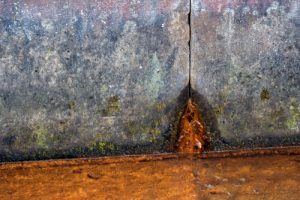 When there is leaking underneath the concrete part of your San Diego home, no matter how small, it can lead to more serious problems. There are several reasons why this can happen and one of the most common ones is bad construction. When pipes have been improperly placed during installation, some areas might be affected and could burst. Another common reason is when the foundation suddenly shifts and puts additional pressure on the pipes. This can happen due to an earthquake or because of soil erosion over time. Apart from water pressure, its quality and chemistry levels also affect the pipes. If water flowing through the pipes is excessively alkaline or acidic, it will damage them and cause leaks. They can also be affected by abrasion from any type of friction with other pipes or gravel. This wears them down and creates holes over time. How can I tell if I have a water leak under my slab in San Diego? First of all, if you see water pools or accumulation anywhere inside and especially outside of the house, you might have a slab leak. Wet carpets and warping floors are also possible signs of water building up underneath. One of the most common signs is a sudden spike in your water bills, because this could mean water is running all the time. This will also cause your water heater to run overtime, so if you see it working non-stop, it’s time for a check-up. You might also see some mold or mildew on your carpets and walls. Although there are other reasons for it, a slab leak can cause them and even when you can’t see it, you can smell its musty, mildew odor. What is the average price for a slab leak detection? This mainly depends on the quickness of the reaction and the location and severity of the leak. The average cost of having someone look at your home in San Diego and detect a leak ranges between $150 and $400. If there’s only a simple crack to fix it will cost you several hundred dollars, but drilling into concrete to repair a pipe can cost around $2.000. There can also be additional expenses, but they might be covered by your home insurance. The key thing is acting fast and choosing a company with no hidden fees. If you have noticed one or several of the signs there’s a slab leak in your home, don’t waste another second – call KIC Restoration! We will go above and beyond to make sure you get superior quality services. What we are especially proud of is our transparent prices, with no hidden costs. Go ahead and plan your trip to Mission Trails Regional Park while we take care of your home and help things get back to normal as soon as possible.